"The Impact of Cognitive Creativity in Accounting among Jordanian Internal Auditors on Detecting Creative Accounting Practices, A Field Study"
This study aimed to identify the impact of cognitive creativity in accounting among Jordanian internal auditors on detecting creative accounting practices at Jordanian public shareholding industrial companies. The study sample consisted of Internal Audit staff at each company; whereby 156 questionnaires were distributed, of which 128 were valid for analysis. 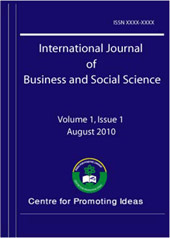 The software used for processing and analyzing data was smart PLS .After data analysis, the study results showed that there is a statistically significant positive impact for cognitive creativity in accounting among Jordanian internal auditors as regards (creativity resources, creativity type and creativity supports) on detecting creative accounting practices at Jordanian public shareholding industrial companies. The key recommendations of the study included enforcing the role of oversight bodies, especially internal audit, in the sample companies wherein internal audit is a major cornerstone of internal control; developing the legislations that regulate the practice of internal auditors in order to enable them to implement audits across the elements and components of financial statements professionally and away from management pressures, and to allow them to identify and mitigate all creative accounting practices.